Then I feel washed over with meaning. This is what it feels like to be without the light of Jesus. This is going to be so full of meaning. I just need to pay attention. It’s taking me a lot longer to get ready this morning. I can’t see just to do simple things, like find my hairbrush. I have to use my hands to feel around and guess what might be a brush. Is that Truth? No, it’s just looks like Truth, but it’s dark and I can’t tell that it’s not Truth. So I grab it and try to brush my hair with it, but it’s not a brush, it’s a flashlight. Flashlights aren’t supposed to be brushes. Substitutes for Truth (Jesus) aren’t Truth (Jesus) but people everywhere living in spiritual darkness are using all kinds of substitutes for Truth. Just stumbling around. Fumbling around in the dark. 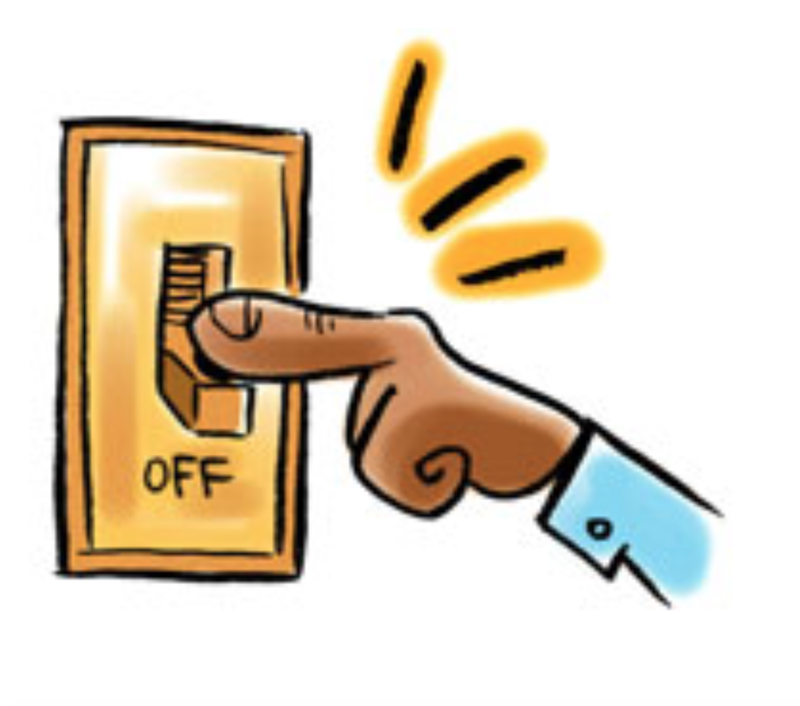 There are light switches everywhere in the house, and it would be so easy to turn them on. Then my husband lights some candles and puts them around the house. It’s a little easier to see and I’m drawn to do things right beside the light. I don’t want to be in the dark. So I pull the candle up really close to the mirror so I can see to put my contacts in my eyes. I bring my makeup right up to the flame so I can see what color I’m choosing. Maybe there are little examples and lights that God puts up everywhere to draw people to Him. Maybe in places like India, there are ways that God uses to let people who want the Light, to see him, even if it’s just a little. To draw them to Him. Maybe that’s what it’s like. People can see a little and be drawn to the light but they’re never going to be able to really see fully, until somebody comes and shows them the light switch. The full Light. We have to guide them to turn it on, and then they’ll really be able to see everything very clearly. Then the Kingdom of God will flood into their vision and all the dim shadows and the fumbling and the examining little bits of Truth in little bits of Light will be shockingly clear and bright. God, help us to search for the people in India that are already drawn to the Light. The people that are hunched over the candles, trying to discover what they are holding in their hands. At night, in the dark, I feel wooden inside all of the sudden. This Light exercise is making me examine my inner self. I know the Light is in me. But I still feel kind of dead in a certain space inside. Maybe I’m not letting the Light in that space and I just want to stay curled up in a ball in a corner to cry out that piece by myself in the dark, because it feels like light would make it more like a spotlight on a stage. I might have to shield my eyes from the intensity of it. I’d rather just keep the Light off of this part of my life. It’s odd because it seems like because the Light is in me, if I just take the Light (myself) to any other physical places, like going to work or church or meetings or playdates, people seem to feed off that Light in me. They get joy from the Light, and they get peace and healing. And I just have to carry the Light in me and show up. So it’s odd because it doesn’t seem to matter if places in my heart are sad or broken a bit. Yes, I’m going to need to deal with God giving me joy and freedom in that wooden place. But he’s not going to let me wallow around in self-pity and let others stay in their darkness because of it. God, I’m asking for a gentle light for me. One that looks like one of those soft cloth lamps with the beads and the ornate, old, twists of French-looking something. Please let it be a soft glow, and not a harsh, stark, white spotlight. Set that Lamp right into a cozy place in my heart and let me see well. Give me freedom in that place. Give me joy again in that place. It’s okay to have tears in that place, even with the Lamp? That’s good to know. I just want to be alive there and not shut off, that’s all. The Light feels warm and good.